Grief Cottage a Publishers Weekly Ten Best Books of 2017! 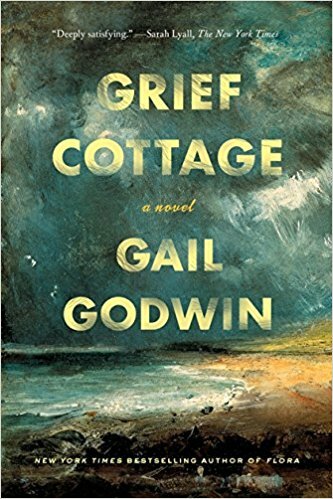 The haunting tale of a desolate cottage, and the hair-thin junction between this life and the next, from bestselling National Book Award finalist Gail Godwin. I’m drawn to those crossover places in ghost stories and novels: the hair-thin junctions between sanity as we understand it and what we call “the other side.” In the tales I love best, like Henry James’s “The Turn of the Screw,” the arrival of the ghost coincides with a mental crisis, a disturbance in the character’s experience of the world. At the same time, a really effective ghost story is grounded in the stuff of daily life. For Marcus, this includes caring for his reclusive aunt, monitoring a nest of Loggerhead turtle eggs, and unpacking the boxes of his former life, with all their disturbing memories. Connoisseurs of the ghost story maintain that a truly satisfying one leaves a window for the possibility of a reality we haven’t discovered yet. The boy, the idea of the boy, had been with me a long time, but for years he was just “the boy.” It wasn’t until the early summer of 2014, the week of my seventy-seventh birthday, that I heard him thinking inside my mind. I was on the Isle of Palms in South Carolina. It was early morning at the beach. Between five and eight were “the hours of the dog,” when dogs were allowed to run without leashes. Two sleek young Greyhounds chased each other, skimming the earth; other dogs were diving into the waves for a ball or simply from elation, little dogs were barking at big dogs, then capering around their owners’ legs. The last time I had walked beside the ocean had been on Pawleys Island with Robert Starer. Because we were together, I hadn’t been paying close attention to the things going on around me. Now, on another South Carolina island, I was all too aware that Robert was no longer beside me and I felt like a ghost walking alone on the beach. As I walked alone and observed more than ever, I suddenly heard the boy’s thoughts: “There were new ocean things for me to discover every day, everything seemed to be sending me some kind of message. Some of the messages made me feel good, others not so good.” The boy has lost his mother and been sent to live on a small South Carolina island with his great-aunt, a reclusive painter with a haunted past. He is eleven. (Writing Flora, I discovered how much I liked writing about pre-adolescent children. It is a transitional stage when you are discovering your powers but are not yet adept at foreseeing the consequences of your acts. You sense that you are turning into something else, but you don’t know what that ‘else’ is going to be. A newcomer to the ocean, Marcus observes how the patterns in the surf re-draw themselves with each outgoing wash “and would continue to do so after I was dead.” Obviously this boy had death on his mind. Well, fine, so did I. He will keep walking to the north end of the island and discover the ruined beach cottage his aunt has told him about. (“It matched the ruin of my own life.”) Here he will become aware of the ghost of a boy missing since a hurricane fifty years before. Full of curiosity and open to the unfamiliar and uncanny, he courts the ghost boy, never certain whether the ghost is friendly or follows some sinister agenda. Marcus will never be sure, but this otherworldly confrontation will set a course for his life. I was sharing a beach house with my younger sister, her grown boys and their wives, and a twelve-month-old boy. I had known my nephews since they were born and was acquainted with their little ways and sayings and quirks. A writer, I don’t recall who it was, told an interviewer, who had asked “how can you write about children when you don’t have any?” that all you needed in order to write about them was “curiosity and love and memories of yourself as a child.” Seeing the love and attention lavished on this year-old boy made me think more about the results of love’s presence—and the consequences of its absence. This wasn’t to be the first time I wrote from a male viewpoint. 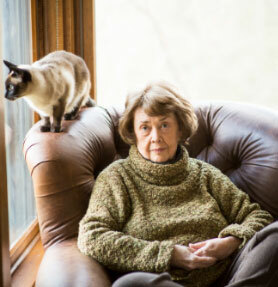 The very first story I wrote at age nine was about Ollie McGonnigle, a henpecked husband. In an early novel, Glass People, I wrote about a district attorney at home alone trying on his wife’s clothes—from inside his head. In my big family novel, A Southern Family, I wrote a long chapter from the point of view of the father with his racist upbringing and social inferiority, and I wrote part of another chapter from the point of view of an Austrian-born Jew in middle age having his first experience of the American South. In The Good Husband, a story of two couples, the viewpoints are divided four ways, two women and two men. One husband , an ex-seminarian, is tending to his dying wife; the other husband, a bellicose novelist married to his former editor, is suffering from writer’s block. Father Melancholy’s Daughter is an intimate portrait of an Episcopal priest beset by agonizing depressions, though his painful story is told through the daughter’s voice. But Marcus would be the first boy to narrate his own story through the entire novel: Marcus from the inside, with his losses, his grief, his curious mind. The story of his first summer on the island with his great aunt would take place in 2004 and the story would be told by the adult Marcus, in 2017. Why had his great-aunt given up on people? What about the few individuals on the island who have touched her reclusive life: Lachicotte Hayes, the maverick outlier of an old patrician family who rebuilds vintage cars, Coral Upchurch, the ninety-five year old lady in the next cottage who, having nothing left to lose, begins “doing archeology on herself”? What were their stories, and how would Marcus engage with them? Once there was a boy who lost his mother. "Godwin's forceful prose captivates with the quiet, renewing power of a persistent tide." - Starred Review, Publishers Weekly, "Best Books of 2017"